Wild Touch decided to launch a 45-day expedition to Antarctica to showcase the beauty and fragility of the emperor penguin, the ambassador of Antarctica, while raising awareness about the climate changes affecting this unique ecosystem. Wild Touch organized various activities designed to alert the community about the current situation in Antarctica and engage viewers in the fight against the climate change. Wild Touch organized various activities, around the COP21 conferences, designed to alert the community about the current situation in Antarctica and engage viewers in the fight against the climate change. For the 58th time in its history, the Austrian TV station ORF broadcast the New Year’s Concert live from the magnificent Golden Chamber of the Vienna Musikverein with its unique acoustic. The prestigious cultural event is regarded as a worldwide successful classical music event and reaches over 90 countries and around 50 million viewers on five continents. This year, a total of 15 cameras ensured brilliant ORF pictures and matchless cultural delight. For the third time in succession TV director Michael Beyer was responsible for the visual direction of the live broadcast and for the first time TV Skyline's Ü8 was on hand. The 31st Annual Stellar Awards—held Saturday, February 20, 2016 at The Arena in the Orleans Hotel in Las Vegas, Nevada—showcased the top stars, performances and achievements in Gospel Music. Long a contributor to the award show’s live productions, TNDV this year saw its role significantly expanded by the show’s long-time producers, Chicago-based Central City Productions, Inc. (CCP), which put the HD mobile production leader in charge of all technical production management among other tasks. TNDV’s current flagship 40-foot HDTV truck Aspiration made the cross-country trek from Nashville to downtown Las Vegas, where the two-hour show was recorded live onto the truck’s 14 Aja Ki-Pro recorders. Known as America's Digital Goddess, Kim Komando helps people across the U.S. and Canada understand all things digital on The Kim Komando Show, broadcast live each weekend on nearly 500 stations by the WestStar TalkRadio Network and streamed to a growing online audience. The popular technology talk show is now airing from a new modern facility in Phoenix outfitted with over 100 LED lighting fixtures from Elation Professional and Acclaim Lighting. Scenic and lighting production design firm Innovative Show Design (ISD) was contacted about the need for a new lighting scheme by a Kim Komando team that had clearly put some thought into lighting concept ideas, even coming to the table with its own lighting renderings. ISD subsequently designed, installed and programmed a new all-LED lighting system, working closely with lighting vendor CYM Lighting Services. Bel TV, the national TV and radio broadcasting company of the Republic of Belarus, has chosen solutions from Grass Valley, a Belden Brand, to take its live news and video production capabilities to the next level. The company purchased GV STRATUS for video production and content management, EDIUS for editing, K2 servers for storage, and Densité infrastructure components for signal processing. The equipment was supplied, installed and commissioned by Offtech, a local systems integrator. “We chose to do business with Grass Valley because we know we will benefit from the company’s innovative solutions which help us save money and create powerful media content,” said Aliaksandr Hryblo, chief technology officer, Bel TV. TV experience company Sixty has announced that it is partnering with Ross Video to make on-air graphics and virtual studio packages available via Ross Video’s e-commerce platform. Graphics and virtual studio packages are available for news, finance, weather and sport. “Ross needed to enhance its XPression demo content, and was looking for a clean, modern and edgy ’European’ design for both live on-air graphics and a virtual studio set-up,” said Henriette Sæther, Chief Commercial Officer at Sixty. ”That’s why they chose to partner with Sixty.” “This is a completely new way of bringing broadcast designs to market, making it possible for broadcasters to acquire broadcast graphics through an off-the-shelf online store,‘’ she continued. The 2016 season will see the grid expand to 22 cars with the addition of the Haas F1 Team entry. Renault returned to the sport as a constructor after a four-year absence following their takeover of Lotus prior to the start of the season. The calendar has similarly expanded, with the return of the German Grand Prix. The European Grand Prix will also be revived, with the event visiting a new circuit in Azerbaijan. Before the Teams left their home bases for the Australian Grand Prix they all got together for the only pre-season tests at Barcelona’s Circuit de Catalunya for 8 days across 2 weeks. The two Sessions took place from 22nd to 25th February and from 1st to 4th March. These test weeks also were the unique opportunity for Riedel to crosscheck the communications infrastructure which has to work bulletproof for the 21 races across 5 continents and in severe weather conditions – rain, extreme heat, cold and humidity. Each one of the 11 Host Cities of the 2018 FIFA World Cup Russia™ have acquired a signature look: unique and familiar imagery created in the style of the Official Look for the 2018 FIFA World Cup™ that will help the cities to show off their cultural values, architecture and natural beauty to the whole world. Iconic elements were taken from local architecture and monuments, heraldry and the surrounding flora and fauna when creating the symbolic compositions to depict the 2018 FIFA World Cup Russia™ Host Cities. Thus, it is not hard to guess that Saint Basil's Cathedral and the Kremlin's Spasskaya Tower have been chosen for Moscow's signature style, while you can identify Kaliningrad by the Konigsberg Cathedral. Istanbul hosted fifth time Balkan Indoors Athletics Championships with record participation from 16 ABAF members plus two guest teams. Romania topped the medal table ahead of Turkey, which achieved their best results in history of the competition. Both local and international athletes took part in the event across a variety of disciplines with NTV Spor providing four hours of live coverage. Live coverage of the event was carried out with 10 HD cameras, with 25 Mediapro Turkey staff taking part in the production with graphics provided by Mediapro Turkey. More than 200 Clay Paky fixtures have delivered an extraordinary light show at one of the Ukraine’s biggest televised events of 2015, The M1 Music Awards. The event, which took place at the Palais des Sports in Kiev and was produced by the M1 Music Channel, saw a large gala-style concert with performances from the country’s biggest pop stars. Lighting designer Maksym Balashov of leading rental operation ALIGHT specified an extensive package of Clay Paky fixtures for the show and awards ceremony, including 162 x Sharpys and 24 x A.leda B-EYE K20s. Balashov’s unconventional design saw four structures suspended over the stage with the Clay Paky fixtures rigged in groups. Adlib supplied an L-Acoustics PA for US pop-punk band All Time Low, for their recent Back to The Future Hearts UK Tour, plus a support package for Special Guests Maryland Rock Band Good Charlotte, back after a long hiatus. The PA system technician for Adlib was Alan Harrison, working alongside Adlib’s Hassane Es Siahi, with Jay Petch looking after monitor world. An experienced and enthusiastic crew, who all worked closely with All Time Low engineers Phil Gornell (FOH) and Ricky Fernandez (monitors) plus Good Charlotte’s Jim Carmichael at FOH and Chris Cotten on monitors. Against The Current was the other support act. Massive Attack, is the latest award-winning band to take the powerful Avid VENUE® | S6L live sound system on their UK and European tour. The newest addition to the Avid VENUE family—the most trusted and requested live mixing systems in the world—delivers the next level of live sound production and the ability to handle any multi-continent tour schedule with ease. The decision to take the VENUE | S6L on tour in support of the band’s latest EP, Ritual Spirit, was made based on their experience with the compact and powerful Avid S3L-X systems in the summer of 2014. After working with top artists including Coldplay, Manic Street Preachers and Richard Ashcroft, veteran live sound engineer and senior specialist for live sound products at Avid, Robb Allan, returns to the front-of-house helm for Massive Attack this spring. Designed for use by officials or experienced operators, the new Xeebra multicamera review system is fast, flexible and easy to use. An intuitive touchscreen enables multiple screen views of continually synchronized content from up to 16 HD cameras for instant action recalls. Users can narrow views from all 16 to four, two or full-screen views through simple touches to make immediate decisions. A dedicated controller provides extended operations for direct access to actions, tactile jog dial, and the ability to manage marked reviews at any time. Xeebra also provides user flexibility. Its distributed server architecture and simple GigE link enables officials to sit wherever they want within the stadium while server equipment stays tucked out of sight. The “FUJINON UA80x9,”boasts optical performance and is compatible with 4K cameras. The prestigious “iF Design Award” is an international design award launched in 1953 by the “iF” International Forum Design in Hannover, Germany. It is one of the worlds three most prestigious design awards, alongside Germany's “Red Dot Design Award” and the United States’ “IDEA Award.” The UA80x9 was selected in recognition of not only exterior design, but also because of its advanced product performance and ease of use. The UA80x9 (9-1440mm) with OS-TECH (optically stabilized) and UA22x8 (8-352mm) next generation 2/3-inch 4K UHD broadcast zoom lenses with 16-Bit encoders are compatible with 4K cameras. 4K cameras were placed at the venue in order to produce Ultra High Definition resolution content (clips) featuring sharp and crisp images of this exciting sport, devoted supporters and magnificent landscape. 4K offers 4 times the resolution of 1080p HD video and therefore requires specialised production and transmission equipment as well as more bandwidth for distribution. In cooperation with IBU these clips were shown on UHDTV screens on site, in the VIP areas and in the Press Centre allowing Biathlon guests and media representatives to appreciate the life like images. This showcase is one of multiple UHDTV projects on the Eurovision roadmap. The broadcaster has set up a production unit called Sky VR Studio to produce content initially for Facebook’s 360-degree video platform, viewable through the social network’s website and mobile apps. The Sky content will also be available for Facebook’s Oculus platform, including the Rift and Samsung Gear VR headsets. It will also launch a dedicated Sky VR app, with the aim of reaching as many people as possible. The broadcaster has committed to producing more than 20 videos across sports, movies, news and entertainment genres in 2016, starting with two F1 VR experiences, made in partnership with Formula One Management and the Williams F1 team. "OZO enables the creation of immersive virtual reality experiences that actually move us emotionally, and move us to act," said Ramzi Haidamus, president of Nokia Technologies. "Through OZO we can feel more present in the lives of people we've never met, and widen the circle of empathy in ways we could never have imagined before. Technology that moves us this deeply is technology that moves us all forward." In addition to bringing OZO's category-defining features to the European market, Nokia Technologies also announced post-production partnerships to facilitate the content production workflow. 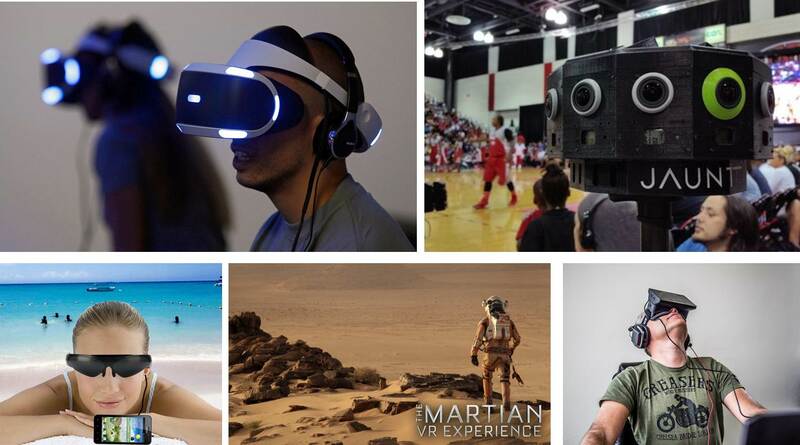 Uncertainty about available workflow and tools for VR content creation has been a major concern for the creative community, and with these partnerships OZO provides a comprehensive solution.